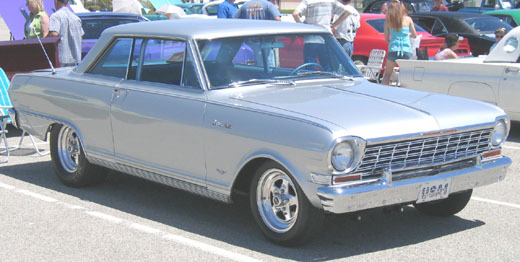 Visually the 1964 Chevrolet Nova remained identical to the 1963 production year. Changes were minimal with the exception of the new V8 motor option, the 283 cid 190hp engine. For the first time Nova SS lovers could hear the sweet rumble of a V8 under their foot. Like other SS packages in the Chevrolet lineup buyers received extra chrome trim, SS emblems, different wheel covers, and minor interior upgrades.